Some Windows application publishers who use "Windows" in the name of published apps received legal notifications from Microsoft in February 2018 to either change the name and branding of applications or have them removed from store instead. Two German Windows sites, Dr. Windows and Windows Area, revealed that a law firm acting on behalf of Microsoft contacted them about their infringing apps Dr. Windows and Windows Area. Martin Geuss, the publisher of the Dr. Windows application, was asked to comply in a day's time. He stated that he received the note on a Saturday and was asked to rename or remove the app until Sunday to comply with Microsoft's demand. Both sites published their Windows apps in 2012 for Windows 8 initially and updated them throughout the years. Microsoft removed the Windows Area application in the meantime from Windows Store. The Dr. Windows application is still available. Martin Geuss limited the application's regional reach to the German speaking countries Germany, Austria and Switzerland. Microsoft's law firm listed the United States as the country of the infringement and the move may have saved the app from removal. It is not clear whether that is really the case though, or if the app will be removed in the coming days or weeks as well. Another thing that is not clear is whether other application publishers with applications that have "windows" in the name were contacted by Microsoft as well. Apps that are named after sites that have Windows in the name, e,g, Windows Central, Next of Windows blog, or Dr. Windows. Apps that have Windows in the name, e.g. SoundCloud for Windows, Announcements for Windows, or Windows 8 Cheat Keys. It is arbitrariness if Microsoft's law firm contacted some application publishers in group one but not all of them. Applications that use "for Windows" or similar in their name are probably safe but others may not be safe as it is not really clear, for example, whether "Windows 8 Cheat Keys" is an official app or not. Microsoft is doing itself a disservice in my opinion. While the company may have the right to ask for the renaming or removal of applications with "windows" in the name, it seems that no one at Microsoft thought of the ramifications that this might have. Microsoft is asking long-term Windows supporting sites -- some would say fan-sites -- to remove their long-standing apps from the Store. It is impracticable for these sites to rename the application as they'd remove the brand identity if they'd rename the apps. It is almost impossible to confuse third-party applications created by Windows and Microsoft blogs with official applications by Microsoft. 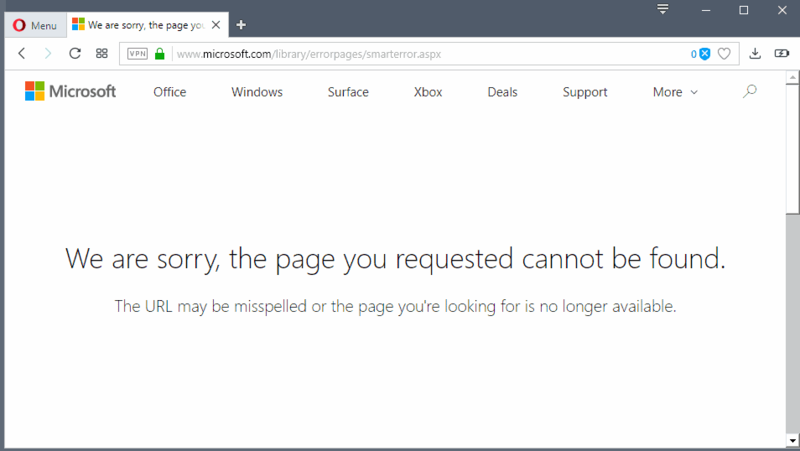 One thing that Microsoft could do to improve the situation on its end is to add a "first-party" or "official" flag or marker to its own applications in the Store to make it clearer to customers. It is arbitrary if Microsoft asked only some publishers but not others, and that is in my opinion even worse than asking all publishers. Affected publishers may also wonder what comes next. Will Microsoft go after established publisher domains like drwindows.de or windowsarea.de next? Apple and Google do the same by the way on the iOS and Android store. Some Windows application publishers who use "Windows" in the name of published apps received legal notifications from Microsoft to either change the name and branding of applications or have them removed from store instead. As if they already haven’t done enough ridiculous stuff at this point. Microsoft is a government-protected monopoly and they know they can get away with anything. The latest example, this week the US Air Force is being forced to update to Windows 10 because according to MS marketing it will be more secure. So now the Air Force says it has to buy new hardware to run Windows 10! In other words, the monopoly is pocketing hundreds of millions or a few billion more in “free” tax revenue. Microsoft gets paid, the generals get paid, the politicians get paid, HP or whoever else supplies the hardware gets paid, the IT contractor gets paid, taxpayers get robbed. And then Microsoft will write “The US Air Force prefers Windows 10”. That the Air Force is using computer hardware so old it can not run windows 10 is scary. That’s the way it is with most long-time government agencies. The IRS code is mostly written in assembler, so you know the hardware hasn’t been changed in a while. Why? As long as it works properly, I don’t see an inherent problem with running old hardware. Windows Central has teamed up with Microsoft from the very beginning and they still team up today, so it would be very, very weird if Microsoft started bitching about the name only now as they clearly knew from their teaming up from day one that they had the word “Windows” in their name. Heimen, this appears to be the same for Dr.Windows in Germany. The site ran the Dr. Windows Community Day 2017 in Microsoft’s headquarter in Germany. You wouldn’t make radios only for Honda cars and call it Honda Radios, you would call it Radios (for Honda). The public will associate Honda Radios as made by Honda. My guess is that Microsoft are fed up of public complaining to them that software not made by them is broken. Also if software with the name windows breaks your computer in some way, you may associate that poor software with Microsoft and bring it into disrepute. Corporations always play up how many complaints they get about stuff that isn’t theirs. It’s hogwash. It barely bothers them, and certainly doesn’t bother the investors. They say stuff like that to get gullible people to sympathize with them in whatever move their doing now. Microsoft is going to demand that all uses of the name of their product be replaced by Windows ™. This includes all documents on personal computers everywhere. Windows Central isn’t the only ‘help site’ using Windows in their name. These is also Windows 7 Help forums, Windows 8 Help Forums and Windows 10 Help Forums; all three are separate sites that are not associated with Microsoft. They have some excellent tutorials on maintaining, fixing and tweaking Windows, but they also allow their members to vent their frustrations with Windows. I wonder if they got the notification too. As this is being executed by a law firm, I expect they see no reason to take prisoners. Just aim and shoot. Microsoft issued the directive so they are serious about it. Personally, I think Microsoft has decided to control everything under the Windows name because of the Windows as-a-Service direction. They are leveraging the name to generate much greater revenue streams and they do not want others cashing in on that. I think Microsoft (and the others – Google, Apple, Facebook, etc) think of their users as not having much intelligence. It’s how they run their businesses. The naming issue is yet another reflection of that. n. a distinctive design, picture, emblem, logo or wording (or combination) affixed to goods for sale to identify the manufacturer as the source of the product and to distinguish them from goods sold or made by others. “Windows” is a registered trademark of M$. Maybe, Dr. Windows and WindowsCentral should be changed to Dr. Win-dows or Dr. Win and Win-dowsCentral or WinCentral. Blurry. I used autoruns for years before learning it was a MS invention. There have to be countless programs with Window or Windows in the title, Home Windows Design for Windows, etc. Not really the intent of a trademark for protecting a product, these aren’t threats. DRWINDOWS still has windows buried in it but not as a separate word, how does MS decide? It wasn’t created by Microsoft. It was created by SysInternals, which was purchased after the fact by Microsoft. Are MS now claiming copyright on the entire English language? M$’s trademark is for “Windows”, not “window” or “windows” or “Window”. Apple’s trademark is for “Apple”, not “apple”, “apples” or “Apples” or “applet”. ……. In 1981, Apple Inc had to pay Apple Records(= the Beatles) some US$millions in settlement, in order to continue using “Apple” as their trademark. I feel sorry for everyone named “Bob”. Once they get done going after all the names with “Windows” in them, they’ll move on to other names in their catalog and it’s only a matter of time before they get to “Microsoft Bob” and start sending out the cease and desist letters. Unless, of course, they let that trademark lapse. So, the guy on the street with his sign “Windows washed” now has to pay a licensing fee? The world is becoming so tight-assed you can’t hiccup anymore without somebody charging you. Ridiculous.